Having the ability to capture high-quality video is crucial to the success of any broadcast or production. The team here at Stream Dudes knows full well that different cameras serve different budgets and production needs, which is we took some of the guesswork of suggesting the right camera for you. Through our research, our recommended cameras offer flexibility and real value. 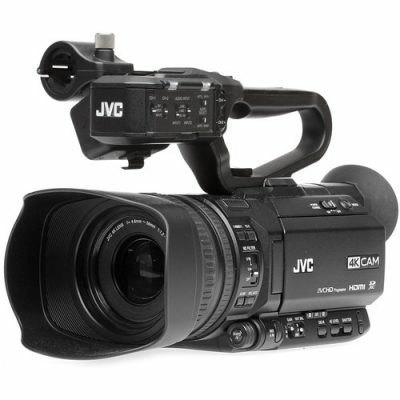 JVC GY-HM250: JVC has always been a leader in camera innovation, unique features and solid value. Featuring JVC’s unique IP capabilities, the GY-HM250 can not only stream directly from the camera, but it can also be controlled over IP for remote CCU functions. Adding to an already capable 4K camera, the GY-HM250 also has the ability to put overlay graphics and texts directly in the the camera. This makes it easy to stream live video with full titling abilities, without the need for additional gear or equipment. If you want to bring in live scores and scoreboard data without the hassle, check out the GY-HM250SP with Sportzcast integration. AIDA UHD6G-200: AIDA Imaging listened to the needs of professional broadcaster when it came to building the UHD6G-200. As the name implies, this tiny camera captures big UHD images in a variety of conditions. Designed to remote placement, the UHD6G-200 can be controlled via RS-485 and even features 6G-SDI for live video output. To make placement even easier, AIDA Imaging also pre-installed a 3.2mm 4K Lens, to ensure that nothing is being missed. For such a small camera (Under 2″ squared without the lens), AIDA Imaging is doing an excellent job making a big statement to broadcast professionals. 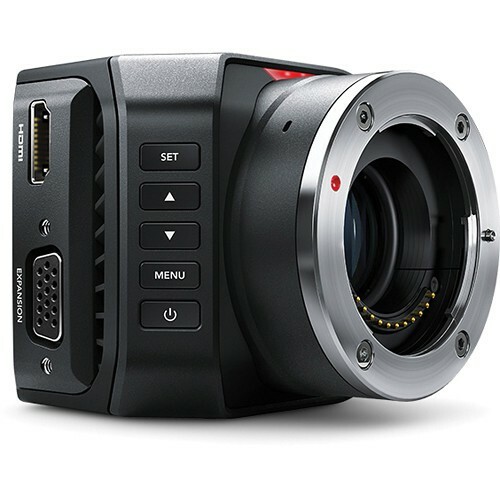 Blackmagic Design Micro Studio Camera 4K: Well designed and well-priced, this highly compact Ultra HD camera is perfectly designed for live production on the go. You get a full 4K resolution camera that can be used in HD and Ultra HD video formats, a magnesium alloy core, and the ability to output video via HDMI or HD-SDI output- which is a rarity at this price point. Mighty for its size, the Micro Studio Camera 4K includes powerful features such as built in color corrector, tally indicator, built in microphones, backup battery, an adaptable MFT lens mount and much more. So if you are looking for a highly portable, but highly versatile HD-SDI camera on a budget, then Contact Us to order the Micro Studio Camera 4K from Stream Dudes. PTZOptics 20X-SDI Camera: For those situations where having a staff of dedicated camera operators might be limited (like in a House of Worship, for instance) or for those times where being able to remotely control a camera is a must, PTZ (Pan, Tilt, and Zoom) cameras provide the perfect solution. The PTZOptics 20X-SDI is a great example of flexibility. The quick, 20x optical zoom combined with the ability to output 1080p video via HDMI or HD-SDI, allows for easy installation and the ability to work with a variety of video production switchers. Stream Dudes favors the PTZOptics 20X-SDI, because unlike most other sub-$2,000 PTZ cameras- this camera offers a wide variety of control options, along with IP streaming, making it perfect for mounting in difficult locations, so you can get the “perfect angle” every time. AJA CION: For those times when no compromises can be made for quality, the AJA CION combines cinematic-quality with robustness needed for the work of broadcast television. Having the ability to shoot 4K/UltraHD or 2K/HD, and then direct to edit-ready Apple ProRes 4444 at up to 4K 30fps, gives the CION practical versatility. Having a PL lens mount, allows shooters to utilize a wide-range of professional lenses, suited to meet their specific needs. The CION is a truly professional camera platform and although it can be customized in a variety of ways, AJA designed this camera with a clean layout, and straightforward controls. Stream Dudes is proud to be able to offer such a powerful camera, which is why we would love the opportunity to custom-spec a CION package for you. Stream Dudes has the resources to supply you with a variety of equipment from most major manufacturers on the market. So if you need to have a particular piece of equipment for a bid spec, or something special for an upcoming project, Contact Us and one of our team members will help you get what you need.